Deep wrinkles, gaunt cheeks, strong jaw—the scholar and law professor Luca Salvioni is portrayed with precision and no embellishment. There is no attempt to conform to an ideal or a standard of beauty. 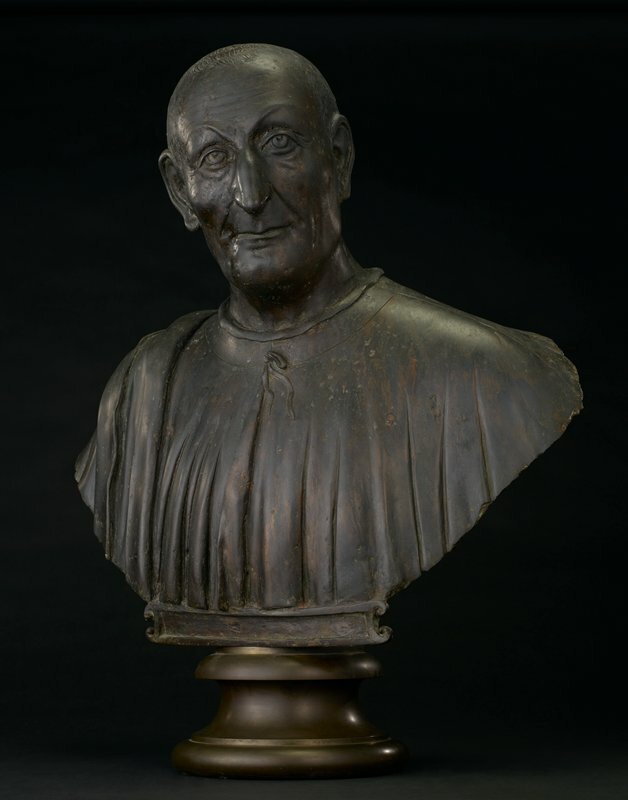 Renaissance sculptors often played up the singularity of a person’s face as a way of emphasizing the importance of the individual. This artistic approach, which had strong political underpinnings, harked back to the time of the ancient Roman Republic.